Come Alive. Stay Alive. Be Purposeful! If you do something that makes you come alive, every single day, your purpose will soon find you. And when it does, Life becomes meaningful! I learned a lot listening to a wonderful young lady, Preethi Sukumaran, co-founder of the “sustainable goodies” venture, Kyra (www.krya.in), yesterday. Preethi and her husband, Srinivas Krishnaswamy, founded Krya in May 2010 with the idea of creating the best plant-based products for helping urban folks, like you and me, make an easy transition to a more sustainable Life. So, the entire Krya “sustainable goodies” range today, which includes a popular detergent and dish-wash, is made on five principles – it is recyclable or re-useable, it has a minimum ecological footprint, it is made only from natural ingredients, it is entirely vegan and it is easy to adopt and embrace. 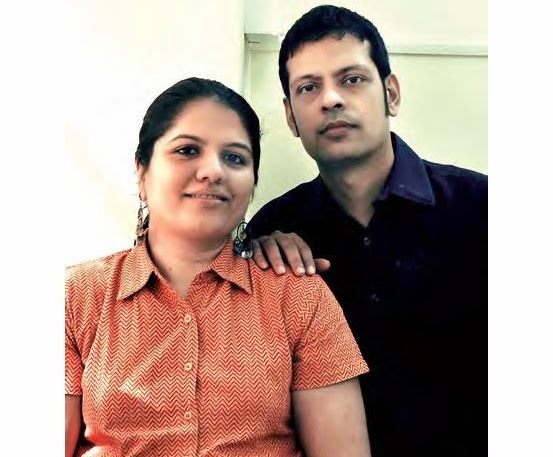 What drove Preethi and Srini, who had spent the first 15 years of their careers with MNCs, leading popular global brands, to embark on this “creative partnership” called Krya is, as Preethi shared, this: “We wanted to leave the planet a better place.” So, apart from being cruelty-free (very unlike many leading brands in the detergents and personal care space) and staunchly vegan, the Krya team thinks about each product from the sourcing to the manufacture to the disposal stage – incorporating sustainability into every part of its lifecycle. Preethi is, as she confesses, fanatical about this focus. She envisions that Kyra will soon be an institution that champions sustainability and leads by example – living on even after both of them, the founders, are gone! Running an enterprise with that kind of monomaniacal focus – “where you are clear and principled about what you will never do” – is not easy. For one, scalability is an issue. Second, consumer preferences, which are currently steeped in self-gratification and are not necessarily sustainability-driven, are unlikely to change significantly even in the next 50 years – at least not in the lifetime of pioneers like Preethi and Srini. Third, should sluggish market trends impact profitability in any manner, then sustaining the business venture itself becomes a challenge. But people who come “alive” in every moment that they are living, are ready to face whatever comes in their way! That’s because their “purpose” has found them. Jim Collins, the management guru, and author of Good to Great and Built to Last, theorized (through research spread over 25 years) that organizations (led by people) with a core purpose – which is the reason why they are in business apart from making money – were far more likely to survive in the long run, despite market upheavals. These are the ones that will go on to become institutions, Collins has postulated. Similarly, individuals too, who are driven by a sense of purpose – a deeper reason for being – do end up leaving behind a lasting legacy. Gandhi, Mother Teresa, Martin Luther King and Nelson Mandela are classic examples of people who led a Life of meaning, because their purpose had found them. And that’s the other point. Your purpose will always find you if you are open to and are aware of the idea that there’s a larger reason why you have been created. That your Life has a meaning – which goes beyond meeting your selfish desires and your obsession to provide for yourself and your family alone. When you start asking how you can be useful – than be merely successful – then you are, in every sense, purpose-ready. Of course, when you choose to do something that makes you come alive every day, then your purpose will surely find you. So, when are you coming alive? Author AVIS ViswanathanPosted on January 22, 2014 March 14, 2016 Categories Built to Last, Come Alive, Good to Great, http://schemas.google.com/blogger/2008/kind#post, Inner Peace, Intelligent Living, Jim Collins, Krya, Preethi Sukumaran, Purpose, Srinivas Krishnamswamy, SustainabilityLeave a comment on Come Alive. Stay Alive. Be Purposeful!